So far NICO has created 39 blog entries. In late June, NI-CO was delighted to welcome 6 senior delegates from Algeria who were visiting Belfast as part of a UK study mission designed to explore best practice in consumer protection. The visit was organised by NI-CO as part of our EU financed Institutional Twinning project which we have been delivering in Algiers since 2017. 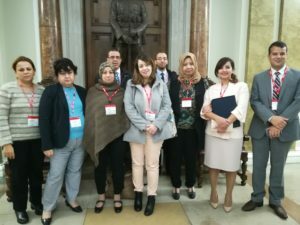 During their trip, senior managers from the Algerian Ministry of Commerce were kindly hosted by practitioners from Trading Standards within the Department for Economy, the Consumer Council, Food Standards Agency, Port Health, Department of Agriculture, Environment and Rural Affairs and Consumer Safety NI who shared real life cases of current consumer complaints, stakeholder management issues and threats to consumer safety. During the meetings the group were encouraged to reflect upon current practices within Algeria and to discuss how the various models employed by Northern Ireland might be adapted to meet the evolving needs of the consumer protection sector in Algeria. This month NI-CO were delighted to host a number of senior Human Resource Managers from Montenegro. 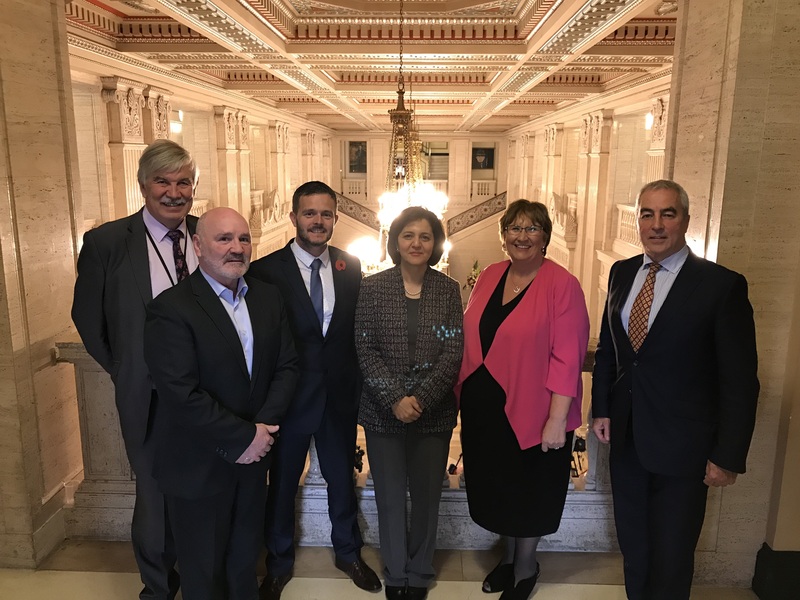 The delegation were visiting Northern Ireland as part of a UK bilateral funded public administration programme which NI-CO has been supporting since 2012. 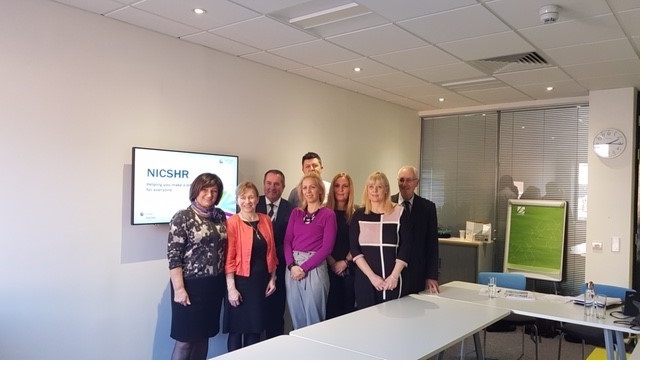 As well as visits to Capita HR Solutions, Equality Commission, Local Government Staff Commission and Lisburn and Castlereagh Borough Council, the group met with The Department of Finance to learn more about how digital services have improved HR management in recent years. NI-CO is delighted to be back in Georgia delivering our second EU Institutional Twinning project in the field of Market Surveillance. The 2 year contract is part of a large €45 million EU support package for Georgia which has been designed to eliminate ‘Technical Barriers to Trade’ and implement the DCFTA between the EU and Georgia via the development of an EU compliant market surveillance service. Based within the Technical and Construction Supervision Agency (TCSA) in Tbilisi, the NI-CO Regulatory services team is working to support staff in the implementation of the multi-annual action plan on market surveillance on industrial and consumer products adopted by the Governmental Decree N641. The project will be focused around 3 core components: legal approximation; institutional strengthening and capacity building of TCSA staff and awareness raising to publicize important information about TCSA activities and services in relation to market surveillance and consumer protection. Over the last 12 months, NI-CO has been working as part of an international consortium to deliver a prestigious EU-wide contract to assist in the development and provision of training in internet investigations for the EU Consumer Protection Cooperation (CPC) and the Consumer Product Safety Networks (CSN). The € 1.7 million contract is a direct response to the rapid growth in on line trading and will see the development and provision of high-quality training and learning materials to support the work of all EU national consumer protection authorities and the network of authorities responsible for consumer product safety. 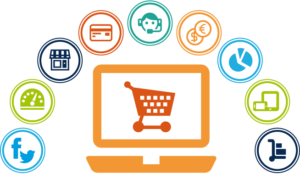 Cognisant of the varying levels of experience and competence across the EU consumer protection community, the project has developed a confidential e-enforcement academy accessible via the EU website where users can access information on the most basic elements of ‘e commerce’ and new business models to a more sophisticated e learning facility. 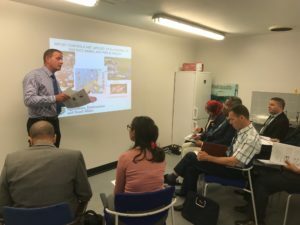 The training and supporting learning material is of a very high standard and is already proving to be extremely useful to EU consumer protection and product safety enforcement staff as they meet the day to day challenges of implementing new EU directives. As well as providing advice and support on legal issues, the on line tutorials offer practical support about where and how to target resources, the principles for effective market surveillance, intelligence sources and formal versus informal enforcement action. One of the highlights of the project to date has been the development of blogposts alerting investigators and consumer protection officers to on line scams involving counterfeit products, holidays, investment opportunities, dating websites, IT technical support and employment opportunities. These posts reference real life cases and enforcement action from across the globe and allow officers to introduce more preventative and proactive measures to improve e-enforcement and combat on line fraud. At present we are finalising a ‘Special Holiday Consumer Safety Post ’ – identifying possible product safety problems in purchasing presents on line in the lead up to the holiday season. As we approach the second year of the project, we look forward to continuing our work alongside The Spanish Association for Standardization and the Chartered Trading Standards Institute (CTSI) in enhancing our offering for the consumer protection community and in safeguarding the 280 million individuals in the EU28 who shop online. NI-CO would like to extend our congratulations to our Social Policy Adviser, Mr Paul Martin CBE who has been appointed by the Bulgarian Government as Honorary Consul for Northern Ireland. As well as being the main contact point for Bulgaria’s Embassy in the UK and the Bulgarian community in Northern Ireland, Mr Martin will facilitate cultural and business ties between the 2 countries. Mr Martin takes up the appointment following a prestigious public service career spanning 38 years which saw him rise to the position of Chief Social Services Officer for the NI Assembly. It was following his retirement in 2008 that Mr Martin first established links with Bulgaria when he was appointed as NI-CO’s EU Resident Twinning Advisor to the Ministry of Labour and Social Policy in Sofia. During the 2 year post, Mr Martin nurtured a close working relationship with government bodies and NGO’s across Bulgaria and welcomes this opportunity to extend those strong links through this appointment. Speaking at the opening of the Consulate Office Mr Martin stated “I am honoured to be offered this appointment and look forward to doing what I can to assist Bulgarian citizens who come to visit, work or reside here. Furthermore I will endeavour to promote trade and business links as well as promoting cultural, tourism and cultural exchanges”.